Sunsets showcase God’s magnificence…and so does elephant poop. Yes, that’s right–elephant poop. 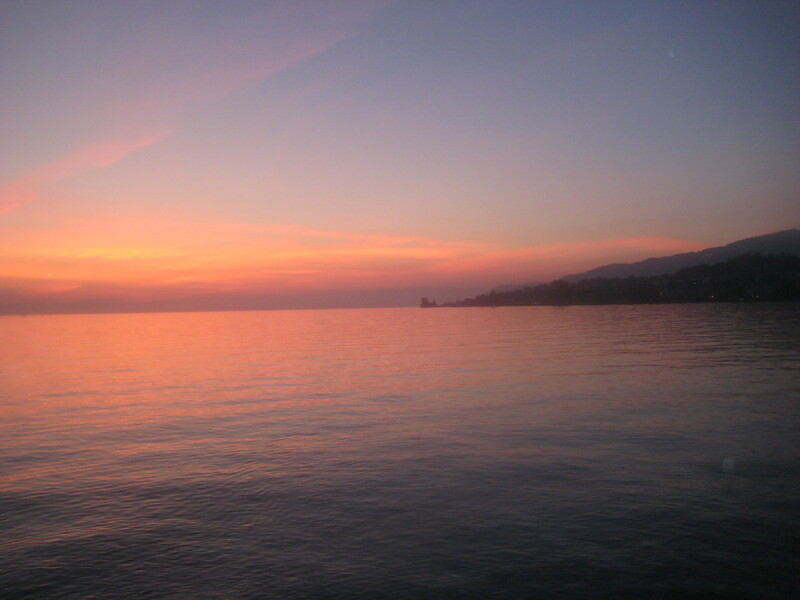 This week, while at a meeting outside of Geneva, I stood in awe of God the painter–as I watched the sun go down over Lake Geneva. The scene took my breath away. I then recounted some facts about elephant feet and elephant poop, that also took my breath away. Not because of their odor, but because of the intricacies they reflect of God’s creation. A few months ago I visited an elephant refuge in Hope, Maine. While I really like elephants, the story of the two particular elephants that resided there, Rosie and Opal, enthralled me. I watched these two forty-year-old hurting elephants (who had been retired from the circus) do their rehabilitation exercises. I listened as the veterinarian, who had worked with these “girls” in the circus years ago, told of many things, including the amazing ways of an elephant’s foot. Elephants, through their feet, are able to communicate with each other while miles away. This happens through vibration via receptors on the bottoms of their feet at a frequency through the ground that other elephants are uniquely genetically engineered to receive. How cool is that?! 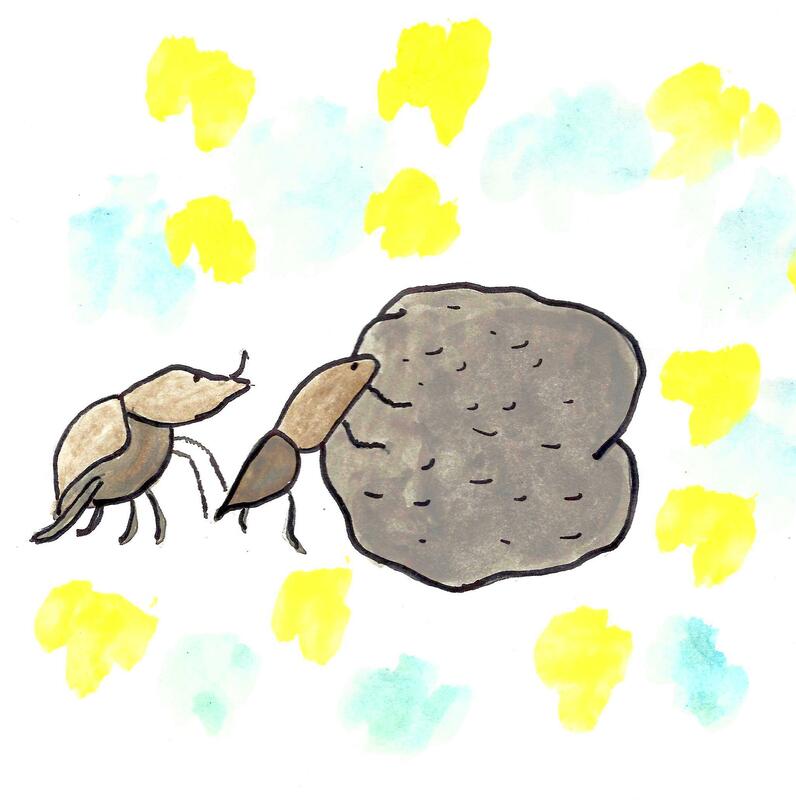 I also learned that elephant poop is inhabited by crazy little creatures called dung beetles, who have an important role in the circle of life. These little critters roll the poop that fertilizes the seeds that are found in the poop. Soon, voila…a tree is born. Maybe I’m just a little weird and this isn’t so impressive to you, but I thrill to learn new things that are really quite wonderful, and so masterfully woven together by our Creator. I wasn’t just randomly thinking about elephants last week. The visit to Hope Elephants in Maine left an impression on me. I learned so much from the veterinarian who was the “brain” behind the whole elephant rehab refuge. Two weeks ago while caring for the elephants, he (Dr. Jim Laurita), lost his life in a tragic accident. In order to help spread the touching story of the relationship between Rosie and Opal, and their friendship with Dr. Laurita…I wrote a children’s book called Rosie and Opal: Finding Hope. You can order it on Amazon or at https://www.createspace.com/5002917. Proceeds go to Hope Elephants – Jim Laurita. Through the majestic sky and the seemingly mundane elephant’s foot and poop…God’s glory shines brightly. And just so you can keep a more beautiful picture in your mind, I’ll leave you with images of the glorious sunset I had the privilege to witness a few evenings ago. 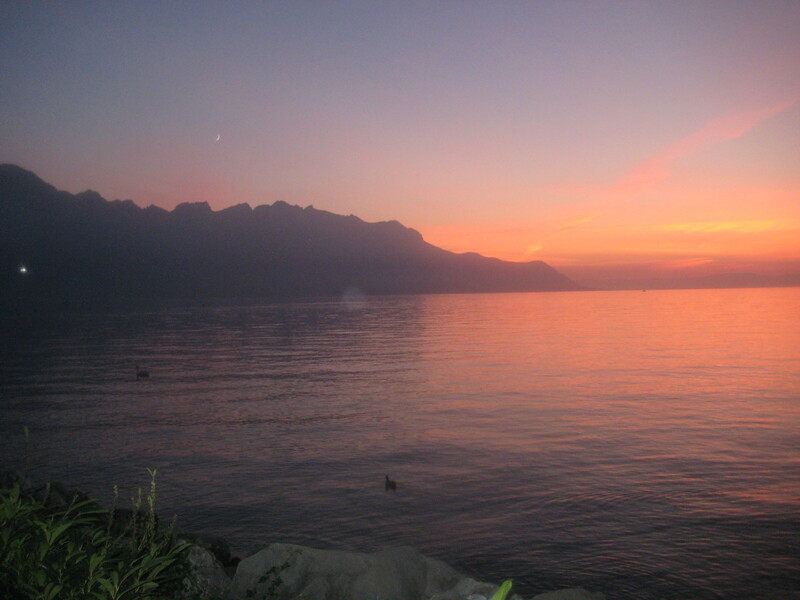 This entry was posted in devotional thoughts, Uncategorized and tagged elephants, God's glory, Hope Elephants, Rosie and Opal, sunsets by jeanieshaw. Bookmark the permalink.